There’s a bit of a dark cloud of uncertainty looming over the hospital issue here with news of Health Minister Eric Hoskins’ resignation. Doppler spoke to Huntsville Mayor Scott Aitchison before the start of Monday evening’s council meeting, just hours after news of Hoskins’ resignation began circulating. 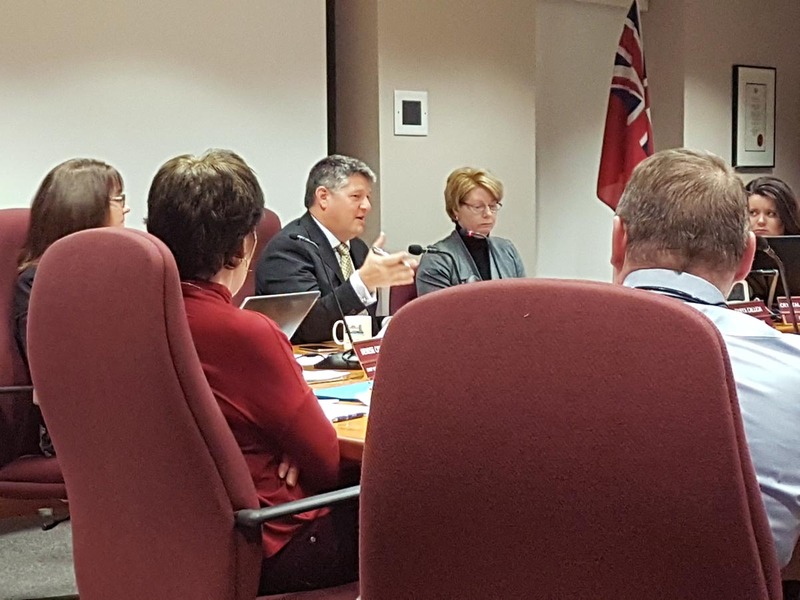 Aitchison said Bracebridge Mayor Graydon Smith asked the Minister at a Rural Ontario Municipal Association conference last month when he’d be addressing funding formula shortages for medium-sized and multi-site hospitals. “Minister Hoskins actually said ‘we have the data now and an announcement on how we will fix it will be coming shortly,’” reported Aitchison. “We were overjoyed to hear that. So we’re hopeful that just because he’s leaving and doing this other business, which sounds like it might be a great program, a national Pharmacare program, that’s all well and good but we hope that the Ministry hasn’t forgotten what he said and that they will in fact fix the funding formula because that is fundamentally what is driving I think a lot of this talk of single siting and that kind of stuff. MAHC [Muskoka Algonquin Healthcare] is scrambling at the end of the year to keep the lights on because the funding formula isn’t fair to them. But that said, even if they did have a single site, they’d still be a medium-sized hospital and they’d still be struggling. So now you spent $4oo million building a brand new building, you’ve got two empty buildings and you’re still struggling to keep the lights on. To me it’s spending good money after bad,” he said. He furthered that if the board thought that by putting municipal representatives on the taskforce, which is examining the various hospital models and making a recommendation on one, that somehow it would soften their stance, it hasn’t. “Maybe they thought that we would come on board and sell their myopic vision of health care, it’s not working,” he said. He also said that with a new provincial election looming, all candidates will be scrutinized on their stance as it pertains to health care and Muskoka in particular.